Today’s cow-calf producers place extremely high production demands on their cows for them to remain in the herd. Producers expect their cows to calve without difficulty, provide enough colostrum and milk for a rapidly growing calf, come in heat quickly after calving and conceive early in the breeding season. Consequently, these expectations take their toll nutritionally on the matriarch of the farm. Once she becomes breeding age, a cow spends a lifetime either gestating or lactating. However, following a few simple management techniques will help your cows breed back in a timely matter and stay bred. The first step producers should take in preparing nutritionally for breed-back is to evaluate the cow’s body condition score prior to breeding season. Ideally, you would want your cows to have a BCS of at least 5 as anything lower than 5 will have more reproductive challenges. According to Les Anderson, Beef Extension Specialist at the University of Kentucky, maintenance requirements for energy and protein increase 25-30% post calving. If you have some cows with a BCS of 5 or less, you should consider managing them separately. By increasing their energy intake, thinner cows may see a boost in reproductive performance. The best way to actively add pounds to lightweight animals is with a high energy supplement such as corn or silage, as well as other high-quality forage or highly digestible feedstuffs. Conversely, it is also important to ensure your cows aren’t too heavily conditioned as they approach breeding season. Extreme cases where the BCS is much higher than ideal can ultimately cause dystocia, lead to lower milk production and even open cows. While lighter weight cows are more likely and more detrimental to your breeding success, overweight cows can also inhibit reproductive success. 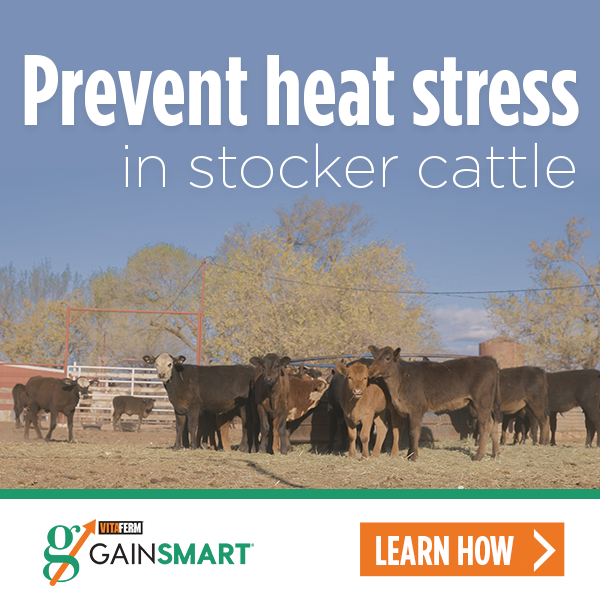 As previously mentioned, maintenance requirements for both energy and protein increase significantly for beef cows after calving and producers need to be aware of these changing nutrient needs. According to Lindsey Grimes-Hall, Area Sales Manager for BioZyme® Inc., protein requirements for cows in early lactation will reach as high as 12%, where they normally don’t exceed 6-8%. She suggests this would be a good time to supplement them with a VitaFerm® Concept•Aid® Protein Tub. In addition to energy and protein requirements, the basic vitamin and mineral needs for your cows are vital to not just their overall health, but also their reproductive health. Providing high quality trace mineral and vitamin supplementation is research-proven to improve reproductive efficiency. For example, VitaFerm Concept•Aid has proven itself as an industry leader in its ability to improve pregnancy rates, calving percentages, and weaning weights. Concept•Aid is contains high levels of Vitamin E to promote reproductive tract repair and increased embryo integrity as well as OPTiMIN organic trace minerals for 57 times more rumen stability. Keeping this in mind, perhaps the best approach to prepare cows for breed back, is to be proactive in their nutritional needs. Grimes-Hall said by keeping your cows on a more positive plane of nutrition leading up to the breeding season will promote a more favorable reproductive response. Just like you would manage cows with a lower BCS separately, it is also important to give special consideration to your first calf heifers. Grimes-Hall reminds producers while it is important to think reproductive efficiency of your cows leading up to breeding, it is just as important to think about your bulls’ reproductive health. Don’t wait until the day before turning out to wonder if your bull is ready to work. Ensuring your bulls are in optimal condition and have been on a high-quality mineral leading up to the breeding season are essential to making sure he will settle cows. A breeding soundness exam is a low-cost management tool that should be completed at least 30 days prior to turn out to ensure no bad surprises come next calving season. In addition to a good nutrition program, producers need to remember that a good vaccination program is a big part of herd health and reproductive efficiency. A good mineral will enhance the effectiveness of your vaccination program in your cows, keeping them in good health. Work with your local veterinarian to develop a herd health program to protect your cows against reproductive diseases such as lepto, BVD, vibrio, trich, etc. To improve your chances of reproductive success be proactive with a high-quality vitamin and mineral supplement program. Be sure to provide adequate protein and energy to your cows prior to calving and manage like-groups of cattle together, and your breed-back success rates should soar.